The items you can’t miss when packing for New Zealand. It’s getting real, you’re about to go to New Zealand! Things get quite exciting a stressful when packing for backpacking in New Zealand. Let this list of essential items to pack for backpacking New Zealand ease the stress a little bit. Apart from the obvious “don’t forget your toothbrush”, we have listed all the items that are essential to take on a backpacking trip around New Zealand. These items will not only make life on the road easier, but more comfortable and stress-free. Of course, these are only the essentials. 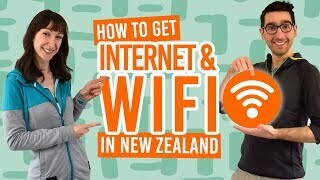 Clothing, toiletries and electronic items are more of a person choice, but be sure to follow our advice on those in What Clothes to Pack to Travel in New Zealand and you will find some cool things in 12 Genius Travel Gadgets for New Zealand. First things first, you need a good quality backpack to pack all these essential travel items in! As this backpack is going to be your companion for your entire trip (maybe for a whole year for you working holidaymakers), you are going to want to invest in a decent backpack. It’s important to have a backpack that is the right size for you, as well as being durable enough to last the whole trip. Follow our tips in How to Choose a Good Backpack. Maybe lose the stuffed toy, though. For those glorious times when you don’t have to carry your big backpack around, get yourself a day pack to carry just the essentials for day trips and day hikes. A 20-30l backpack should do the trick, which can usually fit in a water bottle, wallet, keys, phone, a couple of extra layers and then some. There are so many backpacks out there, but a practical outdoors backpack will serve you better than a fashion backpack, such as this 22l Osprey Backpack. Whether you prefer boots or shoes, sturdy footwear for hiking is an essential thing to pack for backpacking New Zealand! If you are coming to New Zealand, we’re guessing you are going to want to see the famous New Zealand landscapes while staying on a budget. Hiking is the best way to do this and there are no lack of hiking tracks in New Zealand. You hiking shoes are going to end up being your feet’s best friend by the end of your trip. To help you find a good pair of hiking footwear, we have put together How to Choose a Good Pair of Hiking Boots and 10 Tips for Picking the Perfect Hiking Boots for New Zealand. Relefree Premium Microfiber Towel. Not only do they fold up extremely small, but they dry much more quickly than a cotton towel. A fast-drying travel towel is an absolute essential for backpacking New Zealand! Whatever season you are arriving in New Zealand, make sure you pack some layers! By that we mean, a thermal under layer, a jacket and some mid-layers (sweaters, long-sleeved hoodies, etc.) The weather is unpredictable in New Zealand so to be prepared for the change in temperature is a wonderful idea. If you plan on doing any outdoors activities while you’re in New Zealand, many New Zealander’s swear by merino wool as a breathable yet warm material. You can get merino under layers for men and for women. On the subject of power, if you have a lot of items to charge/connect to power then it might be worth packing a multi-plug. This way you only need the one New Zealand plug adapter, then the rest of your electrical items can plug into a multi-plug from your home country. Power outlets are often minimal in hostels or inside your campervan, so a multi-plug which doesn’t take too much space in your backpack is likely to come in handy. You know how the world works, right? You pay for stuff. It’s the same in New Zealand. The New Zealand currency is the New Zealand Dollar. 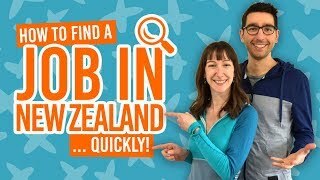 Bring enough cash for your first couple of weeks in New Zealand, just in case something goes wrong with accessing money from home or opening your New Zealand bank account. 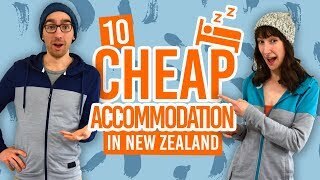 You can find some advice on payment methods while you are backpacking in New Zealand at New Zealand Currency: The New Zealand Dollar. If you are in New Zealand for more than a couple of months, we recommend opening a New Zealand bank account. During the summer months, there are annoying little bugs called sandflies that will bite you. Although not found everywhere in New Zealand, they are particularly abundant in the South Island and especially the West Coast. Get yourself a little bottle of insect repellent to keep the bugs at bay. There are alternative methods to avoiding sandfly bites too, which we mention in 7 Ways to Stop Sandfly Bites. Sunscreen is an absolute essential item to pack for backpacking New Zealand. Because of the hole in the O-zone layer between New Zealand and Australia, the sun is intense and can burn you within seven minutes of exposure even in winter. New Zealand has the world’s highest rate of melanoma skin cancer due to not enough people wearing sunscreen. It’s not a joke. Always have sunscreen with you! It’s obvious but it’s still worth mentioning, right? Make sure that your passport is valid at least up to three months after you plan to leave New Zealand. It’s also worth making a copy of your passport, whether it’s a paper copy in a separate place to where you keep your original passport or a digital copy on whatever cloud you use. This will make it easier to keep a record of your passport details should you lose your passport. To reduce the chances of that nightmare happening, check out Don’t Use Your Passport for ID in NZ: There’s a Much Better Way! If you want to drive at any point during your time in New Zealand, you will need your driving license. Your driving license will be accepted in New Zealand if it is written in English. Any other language driving license needs to be accompanied by an approved translation or an International Driving Permit (IDP). The latter is the best one to get because you can get a hold of an IDP before you leave home. Then you will be able to drive in New Zealand as soon as you like. Find out more in Why You Need an International Driving Permit for New Zealand. If you are on any prescription medication, then make sure you have a sufficient supply of them for your backpacking trip in New Zealand. You can bring up to three-months worth of prescription medication through New Zealand customs. Any more will need to be accompanied by a letter from your doctor. If you need to get any prescription medication while you are in New Zealand, follow our advice in How to Get a Medical Prescription in New Zealand. Upon entering New Zealand, you may be asked to provide evidence at the Immigration desk to make sure you are not breaking the conditions of your visa. If you are on a working holiday visa, have a copy of the visa printed out which looks like this, as well as evidence that you have your “sufficient funds”, a return travel ticket or funds for one, and a copy of your travel insurance certificate. More information can be found at Arrival Advice: Biosecurity and Customs in New Zealand. There are plenty of reasons to throw your togs, otherwise known as swimwear, on in New Zealand, whether it’s for swimming, scuba diving or relaxing in one of the natural hot pools. One pair of togs is one of the essential items to pack for backpacking New Zealand!